Tens of thousands of drivers of minibuses and stretch limousines are being allowed to get behind the wheel without facing criminal record checks, The Daily Telegraph can disclose. While taxi drivers, who are licensed by local authorities, do face scrutiny, the same rules are not applied to those with a licence to drive a Passenger Carrying Vehicle with nine passenger seats or more. This would not apply to “people carriers” which normally have fewer seats, which means their drivers to face criminal record checks. The anomaly means somebody who fails a CRB check to drive a minicab could still legally be hired to drive a minibus or stretch limousine. While safeguards are in place to check drivers who are in regular contact with children and vulnerable people, they are not applied to all the 300,000 people who hold PCV licences. Despite pressure from MPs, Norman Baker, the local transport minister, has said the Government has “no intention” of tightening the law. In a letter to Andy McDonald, Labour MP for Middlesbrough, he wrote that checks had to be “proportionate to the risk involved”. He added: “We need to take into account how likely it is that people carrying out the role present a general risk to those, with whom they come into contact. The stance puzzled Mr McDonald. Steve McNamara general secretary of the Licensed Taxi Drivers Association. “This is a strange scenario, which seems to have just evolved. “It is because they have lumped all buses together. While it may not be necessary if you are driving a number 6 bus down Oxford Street, you can’t say the same sort of thing about a minibus. “Ian Huntley could be driving one of these things if he was not locked up. Two new taxi ranks have been appointed in Victoria Park to serve events in the park. The dates when the ranks will operate will be agreed with Tower Hamlets and this will only be during certain events in Victoria Park. The ranks will initially operate on a trial basis and will be closely monitored to determine if they are successful and can be used for future events. The first event in the park is the Field Day festival on Saturday 25 May, for this event only the Royal West Gate taxi rank will operate. The rank will be operational from 21:00 and the event is due to finish at 23:00. The rank in Old Ford Road will not operate so drivers should not try to use this as they will not be allowed past the road closures. The second event is the As One in the Park festival on Sunday 26 May, for this event both the Royal West Gate and the Old Ford Road ranks will be operational from 21:00. This event is due to finish at 22:30 and there is expected to be a high demand for taxis. When operational the taxi ranks will be marshalled and drivers must follow the instructions of the marshals. There will be road closures in place but stewards will allow taxis to access the ranks. These ranks are initially being appointed as ‘normal’ taxi ranks and not as island ranks – this means that only All London taxi drivers can use them. Officers from TfL will be monitoring both taxi ranks during the first two events to determine how well these are being served and if there are any problems. As the ranks are initially operating on a trial basis it is vital that drivers do not do anything that causes a disturbance to residents or jeopardises the ranks being appointed on a permanent basis. On Saturday 25 May 2013 We Are FSTVL takes place at Damyns Hall Aerodrome, Aveley Road, Upminster, Essex, RM14 2TN. The festival is between 11:00am and 02:30am and will be attended by 15,000 people. At the festival site there will be a designated drop-off area plus a taxi rank and this will be marshalled from 10:00 on Saturday morning until the festival ends on Sunday morning. 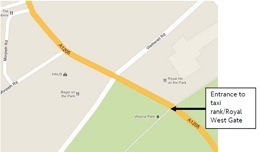 The drop-off area and taxi rank will be accessible from Warwick Lane. At the end of the festival there are a number of after parties at different clubs and so it is expected that people will want use taxis to get from the festival to one of the parties. The festival organisers have been asking people how they intend to get home from the festival and 48% have indicated that they intend to use a taxi. 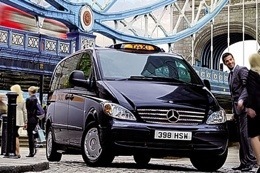 Taxis will be an essential form of transport for people going to and from the event, so we hope that the local drivers plus All London drivers will use the station taxi rank and the taxi rank on the festival site. 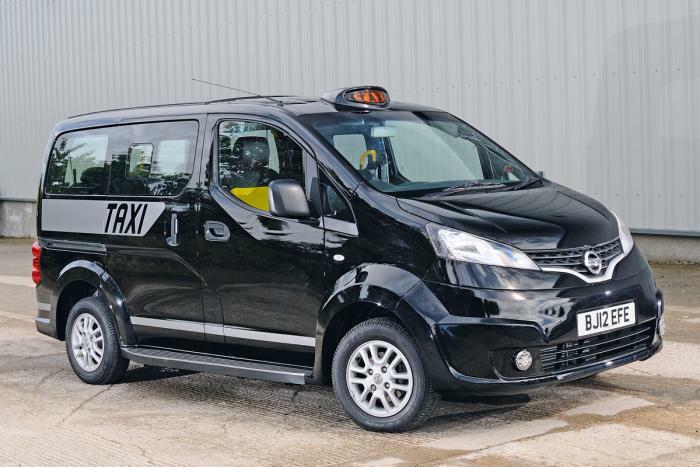 The LCDC have heard from a very reliable source today, that the new nissan taxi that we was hoping to be launched this year in London will not becoming out until Spring 2014. This looks like another setback for drivers who were eagerly awaiting the arrival of the Nissan Taxi. This is on the back of the problems that Nissan are having in New York where the NV200 is due to be launched without being wheelchair accessible. Disabled groups have been outraged that the taxi of tomorrow for new yorkers will not be wheelchair accesiable.Taxi industry groups, drivers, and passengers all seem to have one problem or another with the Taxi of Tomorrow, but the issue of accessibility seems to be driving a wedge between all three. 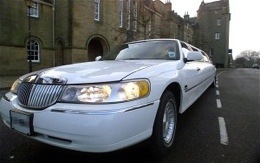 Whether or not the groups find a fair compromise could change the cabs we see here in the city. Danny Delany says he doesn’t take cabs often, but it’s not because he doesn’t want to. Delany says he’s waited more than an hour to flag down a cab. And it’s no wonder why: just 2%, — or about 230 — of the city’s cabs are wheelchair accessible. For the 170,000 New Yorkers in wheelchairs, that can make find one difficult. Even if they find a cab, there’s no guarantee it won’t already be occupied by an able-bodied person. Delany, like many other New Yorkers in wheelchairs, thought the Taxi of Tomorrow would make life a little easier. “It doesn’t make sense that anything “of tomorrow” wouldn’t be accessible,” he said. But right now, there’s no guarantee that that will be the case. Making the new Nissan Taxi accessible is not required by law and doing so would cost owners about $14,000.Taxi Safety Commission Director David Pollack says there just aren’t enough wheelchair fares each day to justify the cost. “For 56 fares a day you’re going to transfer and retrofit 13,000 yellow taxicabs to accessible vehicles? It’s beyond logic,” he said. But right now City Council is considering a bill to do just that. If it’s approved all 13,000 yellow cabs in New York would be affected. Driver Rob Sheridan has been driving a cab for 16 years. He says he’s surprised that accessibility wasn’t already part of the agreement with Nissan. “If you’re going to give an exclusive deal to one company to make The taxi of tomorrow then at the very least you got to make it wheelchair accessible,” Sheridan said. It’s not just people with wheelchairs, people with injuries and the elderly would also have an easier time getting into and out of accessible cabs. Delany says it’s not like making more cabs accessible wpuld reduce the fleet for able bodied passengers. “Everyone could use an accessible cab,” he said. Delany says he has seen able bodied people using the accessible cabs plenty of times in the past making it even more difficult for him to find a cab. But one thing he says has helped: a dispatch service app called Wow Taxi. With it Delany says he can request a disabled cab which usually arrives within 15-20 minutes. A major change to how taxis operate in Northern Ireland will come into force in September. From then, private-hire taxis will no longer have to be pre-booked and, like public-hire black cabs, will be allowed to pick passengers up off the street. The change was due to come into force in April, but was delayed to allow the taxi industry to prepare for the move. Environment Minister Alex Attwood said the change would provide the public with “more choice”. He said the introduction of a single-tier licensing system is designed to make it easier for the consumer to tell if the vehicle is a legal taxi and to give the customer greater choice as to the type of taxi they wish to use. Its intrduction will also allow drivers from outside Belfast to come into the city centre and work, increasing the supply of taxis in the city centre at peak times, particularly at weekends. “I remain fully committed to providing a safe, fair and fit-for-purpose taxi industry in Northern Ireland. Single-tier licensing is a significant step which will help achieve this goal,” he said. Mr Attwood said he was also temporarily de-regulating taxi meters and fares for Belfast public hire taxis to bring them into line with the rest of the taxi industry. “This will establish a level and fair playing field as Belfast public hire taxis will be able to charge competitive rates to consumers and will not have to adhere to taxi fares set by law. “I am also looking at a package of measures to enable public hire to develop and enhance their business opportunities, consistent with the taxis legislation.